Alex Dowsett returned to racing in his lead-up to an Hour Record attempt in late April or May after breaking his collarbone in January. Following two races in Italy, the GP Nobili and Milan-San Remo, he escaped in the wind-ravaged Ghent-Wevelgem in Flanders, Belgium, yesterday. 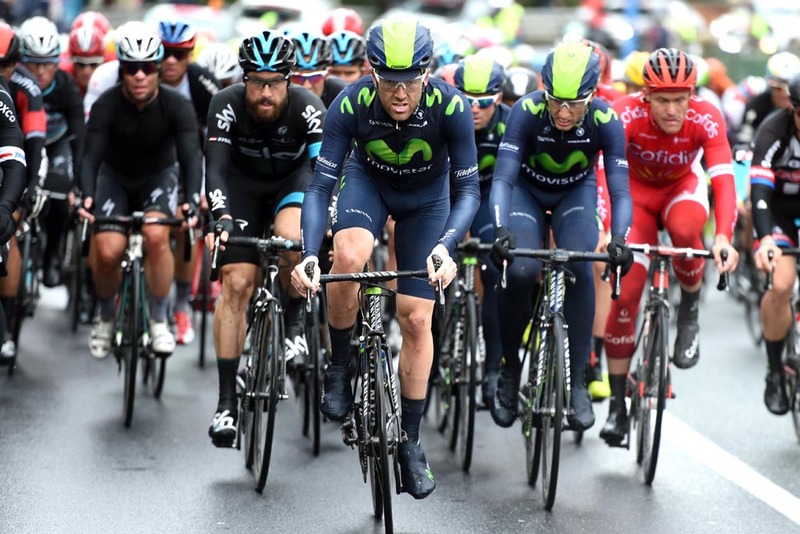 The Englishman flew Movistar’s blue colours in a seven-man escape in the early part of the 239.1-kilometre classic. 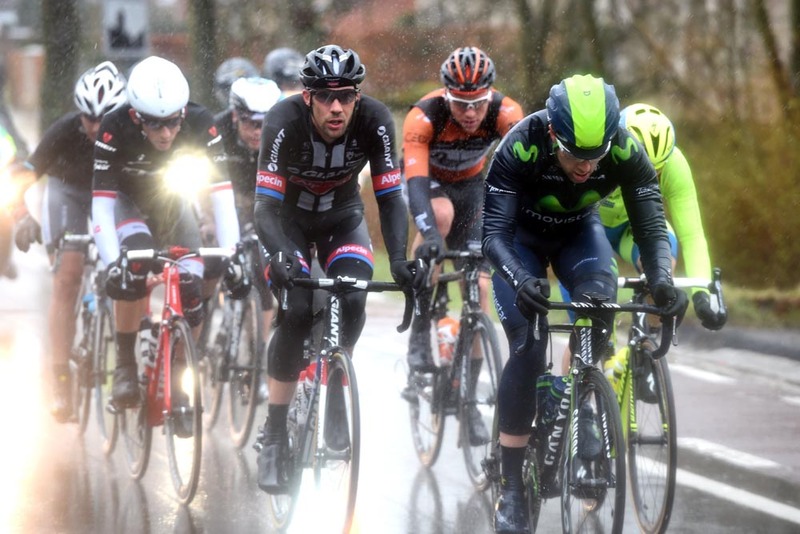 It did not snow like in 2013, but the winds, mixed with rain and 10°C temperatures, ripped through the peloton at 60kmh. Dowsett broke his collarbone in training and had to postpone his Hour Record attempt that he originally slated for February 27. As a result, he returned and began his road season while building towards a new date in late April or May. He is scheduled only for four races ahead of the Hour attempt: the GP Nobili, Milan-San Remo, Ghent-Wevelgem and from April 7 to 10, the Circuit Cycliste Sarthe. “After a shocker that was Nobili… Your first race back is always a shock. Normally you do it in Dubai or Australia, where it’s a shock for everyone, but doing it two months in because of the collarbone is more of a shock,” Dowsett added. “Once I got over that initial shock, San Remo was a lot easier to handle. I wasn’t doing this race originally, but I performed well in Milan-San Remo and it’s clear, a bit of racing is gets me going. Dowsett said a quick “hello” to Sky’s Bradley Wiggins, who is building for Paris-Roubaix and the Hour Record in June, at the start in Deinze and sat off on his journey through the Flemish countryside. He explained that his job would be for team-mate JJ Lobato and he would be fetching clothes from the team car, instead, he rode free with six others for around 110 kilometres. The Hour Record remains on his mind, however. Instead of holding a gap over a speeding group through the damp countryside, Dowsett will have to ride 17.1-second laps to top the 52.491-kilometre mark set by Rohan Dennis in February.